Amazing trailer! Rob so hot!!! Forgot to add, those gifs look amazing. Quite intense whilst looking gorgeous. 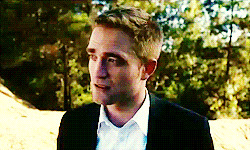 So excited about the trailer, the year of Rob keeps getting better and better. Thanks RPL. It's Official! Rob is Going Back To Cannes!